The problem is, in many situations we don't know where to put a breakpoint in the first place. This can happen for example while debugging a program that we didn't write ourselves. 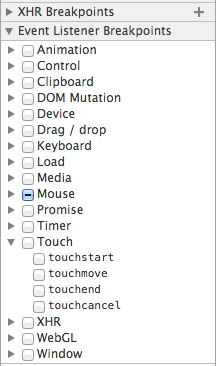 Let's start by seeing how the Chrome Dev Tools can help in several of these situations. What code is changing this section of the page? subtree modifications: the breakpoint is triggered if the element or any of its sub-elements is modified. This is the most frequently used option. Who is doing this Ajax request? Alternatively, by clicking the plus sign on the section header, it's possible to add an ajax breakpoint that breaks only if the URL of the request contains a matching string. This way it's possible during development to catch errors early and to prevent errors from going unnoticed in the console. 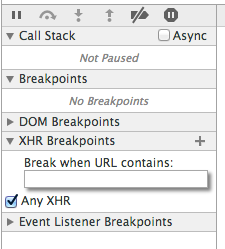 Sometimes we don't want a breakpoint to be triggered every time. For example, we might want to trigger the breakpoint only for a certain id, the id being a function argument. Any condition can be added that uses any of the locally accessible variables. When the code reaches this line, the debugger will be triggered the same way as if a breakpoint was set in that line. This functionality is useful for creating debug tools, or as an alternative to manually setting breakpoints. This functionality can be used for storing frequently used debugging snippets, made by you or other developers. Some of the most useful snippets I came across are from Paul Irish (Google Dev Tools evangelist). 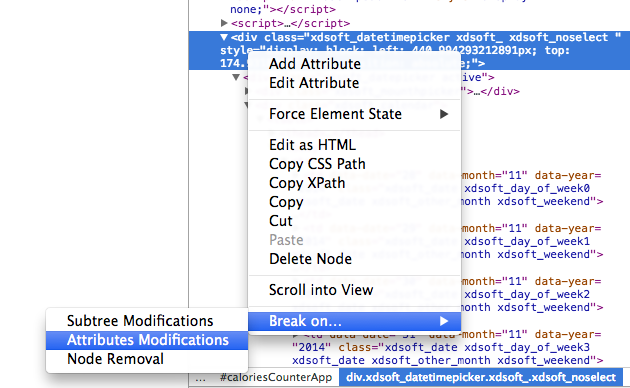 By copying those snippets into your Dev Tools, you can have them always accessible from the console and ready to use. Let's go through some of those snippets in the following sections. The grep.js snippet allows searching an object and its prototypical chain for properties that match a given search criteria. Popular frameworks like React or Angular usually provide specific debugging tools which can be of help in many situations. Angular for example can be debugged using either the console or a Chrome extension named Augury. These debugging techniques should cover the most frequent troubleshooting scenarios. Depending on the problem, many times it's better to use console.log instead of using a debugger, especially if different logging levels are used. The logging statements can be turned off in production mode, and turned back on to help troubleshoot a given problem. Looking for Angular Learning Resources?